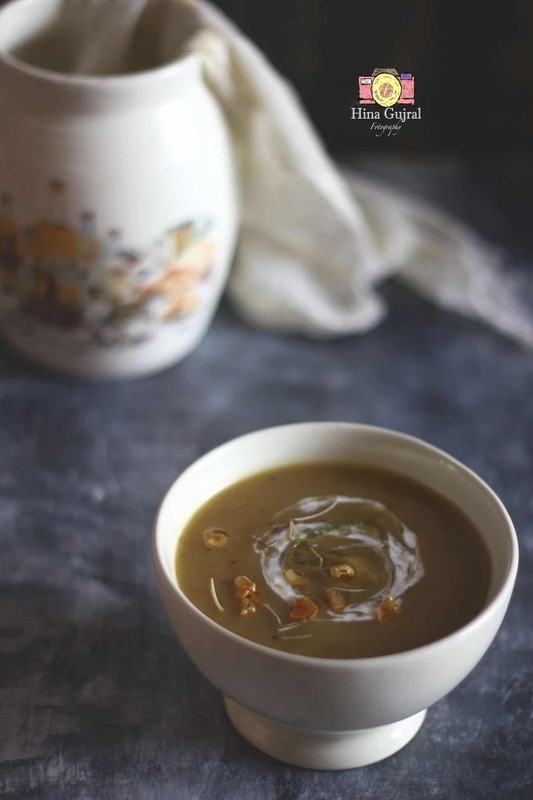 Roasted Pumpkin Soup Recipe is one of our favorite autumn soup recipes. Roasted Pumpkin Soup is originated from Haiti during its Independence celebration. 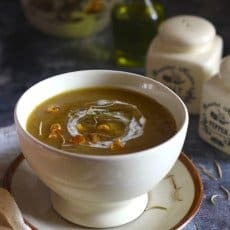 On the day Haiti got independence from the French Colonists Haitians worked together to create a unique soup to celebrate their independence. This unique soup was created as a symbol of unity in the face of adversity. It was served to everyone at the first Independence celebration and Haitians continue this tradition today. Haitians moved to The United States and brought along with them the recipe of Pumpkin Soup which is now made during Thanksgiving. Around the world there are different versions of Pumpkin Soup depending on the availability of ingredients, in fact, Pumpkin quality also differs from country to country. In some places, it is sweet in taste whereas in some countries like India it has greenish skin with pale yellow colour. 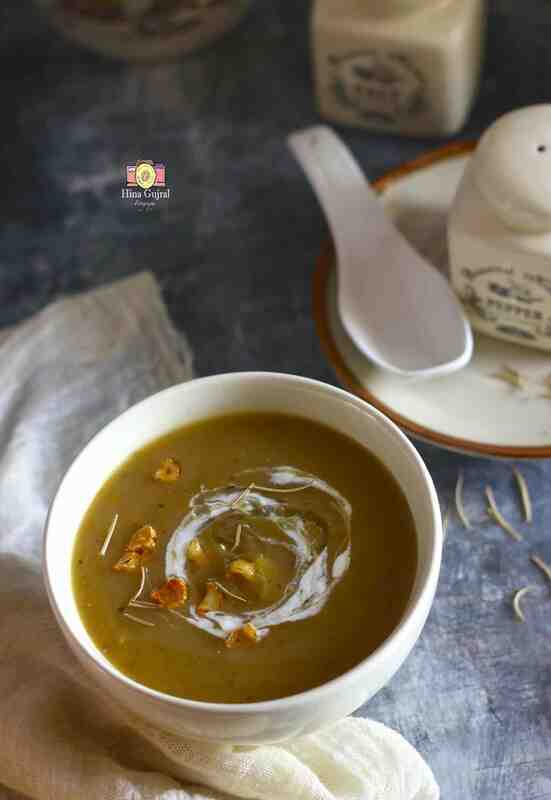 We ae the family of garlic lovers and for us this recipe is divine because there is loads of garlic flavour and aroma in there. When I made this soup first and served it none of my friends could judge that it is Pumpkin Soup and they just loved it. Garlic and rosemary together create a magical spell, which makes this soup finger licking good. Roasted Pumpkin Soup is one of our favorite autumn soup recipes. To make Roasted Pumpkin Soup, preheat your oven at 180-degree celsius. Arrange garlic cloves and onion slices in the baking tray as well. Sprinkle salt, pepper over the vegetable. Drizzle 2 - 3 tablespoons of olive oil. Roast the vegetables in the preheated oven for 20 - 30 minutes or till charred marks appear over the vegetables. Once roasted, scoop out the flesh of the pumpkin in a saucepan, discard the skin. Add the remaining vegetables as well from the baking tray in the saucepan. Add warm vegetable stock or water in the same saucepan. Turn on the heat. As the liquid comes to a boil reduce the heat to medium and let the soup simmer for 10 - 15 minutes more. Taste and add the seasoning accordingly. Turn off the heat. Let the soup cool down a bit. Using a blender grind the soup to a smooth consistency. 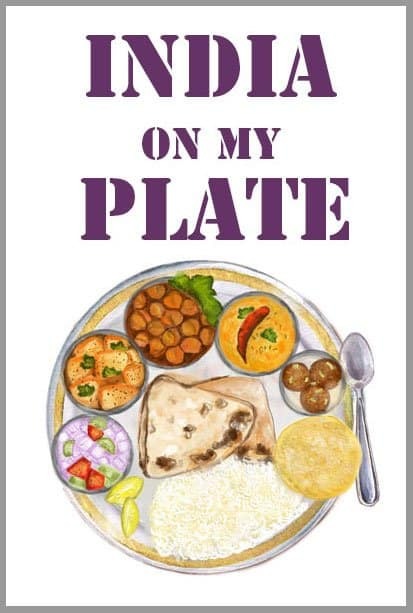 If required re-heat once again before serving. 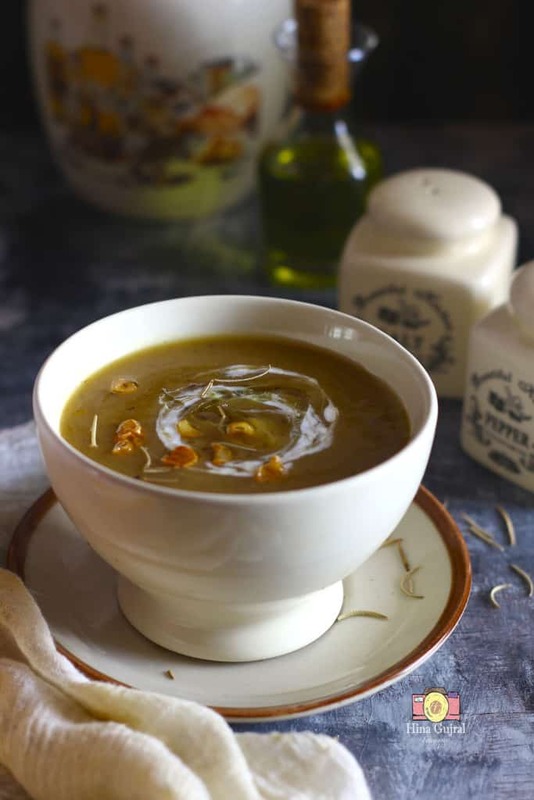 Serve Roasted Pumpkin Soup warm garnished with roasted garlic cloves, olive oil and cream.